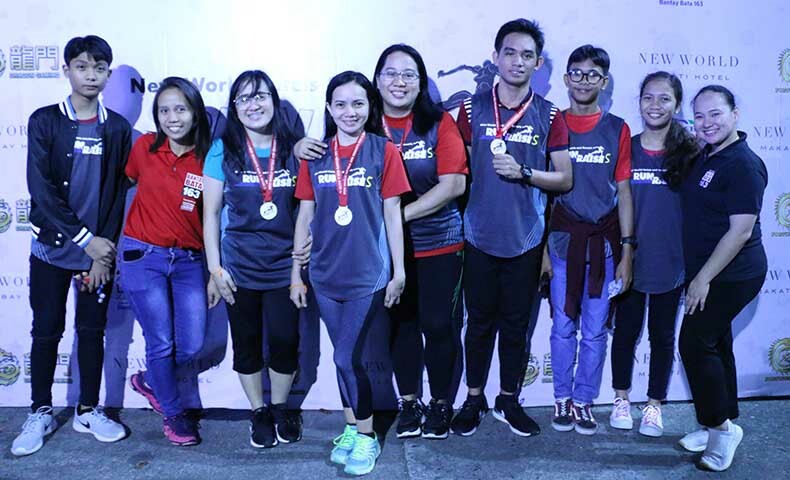 It was still the crack of dawn and the sky was still dark, but hundreds of people were already up and about, ready to run a marathon for Run and Raise 5, organized by New World Hotel and Resorts. 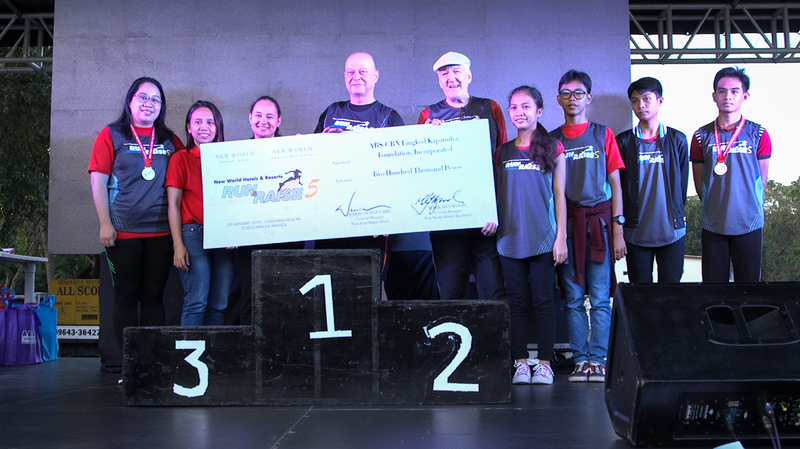 On its fifth year, Run and Raise has successfully raised the funds to help nine junior high school scholars from different parts of the country. One of the beneficiaries is Aldrian Loeriano, 17, a Bantay Bata 163 (BB 163) scholar and a grade nine student of Dayap National High School in Dayap Calauan, Laguna. Aldrian also joined the 3K category of Run and Raise. Aldrian’s journey was a tough one. He was still a little boy when he was forced to face the harsh realities of life. His mother died after giving birth to his youngest brother, who also passed away during labor while his father abandoned them for a new family. He and his other brother were left under the care of their Uncle and Aunt, who accepted them wholeheartedly. They were living in Estero in Pasig then, but through the help of ABS-CBN Lingkod Kapamilya, they were one of the families who were granted a new home in Calauan, Laguna. There, they started a new life. His Uncle worked as a gardener and his Aunt an owner of a small livelihood business. Aldrian’s life seemed to have turned downside up; new family, new home, new life. But despite all of these, Aldrian still had a hard time looking at the brighter side of life. He didn’t have his own parents; he refused to go to school for he failed to see the importance of education. Little did he know that moving to Calauan was really a blessing for him, as Bantay Bata 163 regional office is located just around the corner of his new neighborhood. There was a call out for scholarship application. Aldrian was feeling unenthusiastic about it, but he tried his luck, applied for the scholarship and successfully passed. In photo: Fourth from right, Aldrian holding his marathon medal. To date, Alrian is a Bantay Edukasyon scholar for 8 years now. He shared how his life was completely transformed because of the opportunity given to him by BB 163. For a boy from a family who makes ends meet, having a scholarship is a huge help. Through the support he is receiving, Aldrian learned to dream again. Bantay Bata 163 believes that every child has the right to education. 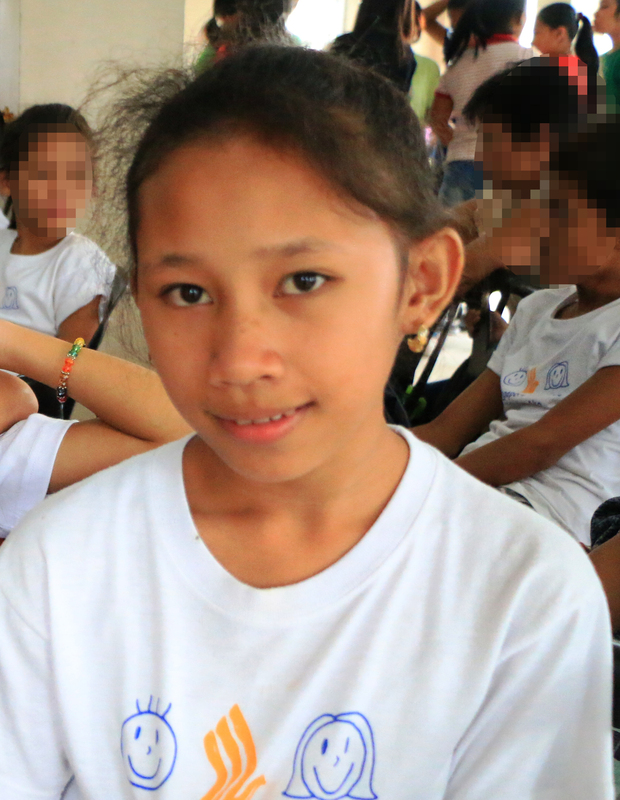 Bantay Edukasyon is one of program’s projects which provides scholarships to destitute children. The project does not only provide allowances for daily meal, transportation, uniform, school supplies and school projects, but also holds social work interventions such as counseling and leadership training. Through working with different donors, more and more children are granted education. Since 1998, BB 163 has a total of 6,014 scholarship grants. When asked what he thinks about the support he is receiving, Aldrian expressed gratitude, knowing that a lot of people are working together to help scholars like him. Aldrian is driven to achieve his dream of becoming a doctor someday. For Run and Raise 5 photos, check here.